At Plant Paradise Country Gardens we control every aspect of growing perennials on-site. This begins with mixing soil in the potting shed and all the steps in between until the fully grown plants are ready for your garden. Why is this important? It gives us the opportunity to have control over the quality. Our responsibility is to grow plants that are environmentally sustainable. We use only organic gardening methods to grow healthy, high quality plants without the use of pesticides, herbicides and synthetic fertilizers. You can feel good that you have made a difference. We believe you’ll see the difference. 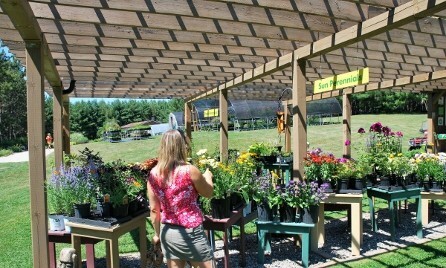 Find all your gardening essentials at the Plant Paradise Country Gardens solar powered sales pavilion. 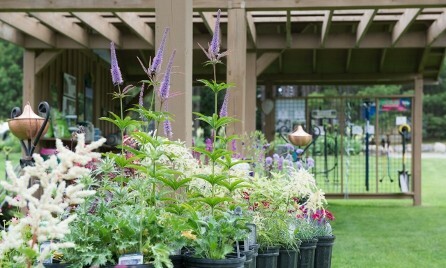 A feature showcase of our healthy, hard-to-find perennials we grow and sell at Plant Paradise Country Gardens. 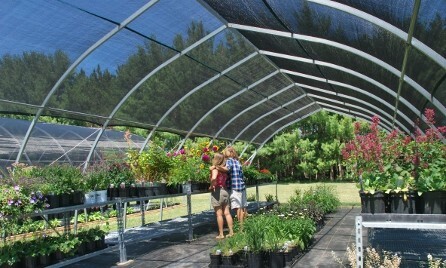 Our greenhouses are filled with thousands of hardy organically grown perennials that will thrive in your garden.